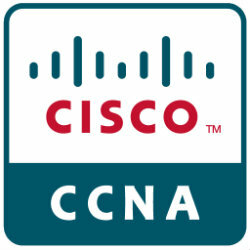 Cisco certified Network Associate (CCNA) is a very popular and highly demanded computer industry certification courses in Information Technology. This more advanced certification course provides a comprehensive introduction to deploying Cisco routers and switches in computer networks. Cisco devices are the industry standard devices that are used to connect computers in local area networks and the internet. Through extensive hands-on exercises, students gain the fundamental knowledge and skills needed to install, configure and troubleshoot Cisco routers and switches. CCNA certified professionals are in great demand in the computer industry today. This course is designed for individuals who have computer networking experience and wish to prepare for skills in the installation, configuration and administration of Cisco routers, switches and network connectivity. A+ and Network+, or the equivalent in experience or training, are prerequisites for this course.